Despite the odds, the media has continued to play the role of an able watchdog. 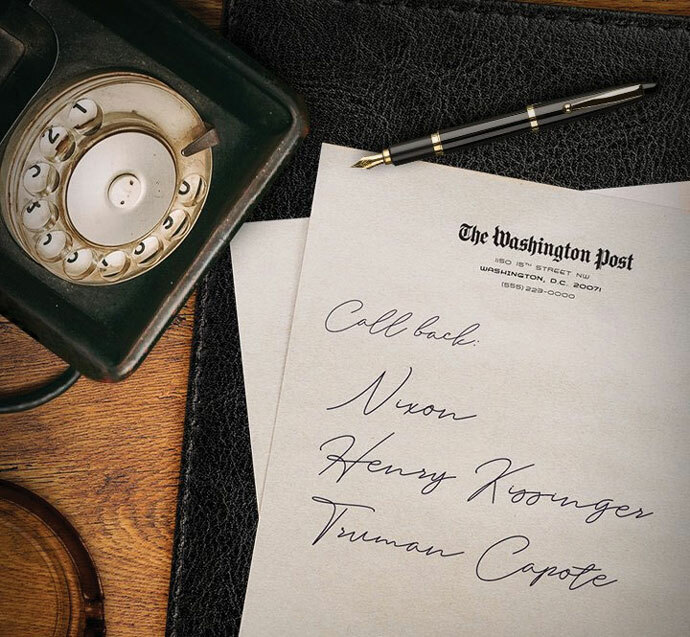 The new film from the celebrated American filmmaker Steven Spielberg, The Post takes us back to the early 1970s when the journalists from The New York Times and The Washington Post shook the world by publishing the classified Pentagon Papers, exposing the lies of the Richard Nixon-led US government regarding the country’s prolonged involvement in the Vietnam War. The Post has already been chosen by the National Board of Review as the best film of 2017. It has been praised particularly for its immaculate period detail and its critique of the functioning of the Nixon administration. Some also see The Post as Spielberg’s response to Donald Trump’s presidency and how it bears resemblance to Nixon’s. Cinema can, of course, serve as a great eye-opener. Media is often described as the fourth pillar of democracy with the legislative, executive and judiciary constituting the first three pillars. Now, something unprecedented happened recently in India when four senior judges of the Supreme Court held a press conference to address what they described as a crisis in the judiciary, raising several questions about the conduct of the chief justice of India, Dipak Mishra. Such is the gravity of the issue that it has become a part of the national discourse. The entire episode, among other things, unpins the importance of media for the functioning of democracy. That not only the ordinary citizen but also the members of the judiciary look upon the media as a powerful instrument for ensuring transparency in the working of the democratic machinery. Today, the freedom of press all around the world is being threatened by certain invisible forces with vested interests. The US may be the oldest democracy in the world but the press freedom in the country has never been as threatened as it is today. Now, it is well documented that immediately after coming to power, Trump banned several leading broadcasters and newspapers from the White House briefings. Interestingly, Nixon too had tried to put restrictions on the press during the Pentagon Papers leak as well as the Watergate scandal that followed it. Nixon too had tried to put restrictions on the press during the Pentagon Papers leak. American filmmaker Alan J Pakula’s 1976 film All the President’s Men is probably the best film about the Watergate scandal that led to Nixon’s resignation. Perhaps, it is also the best film ever made about investigative journalism. And it is certainly a film that would have inspired Spielberg to make The Post. Steven Spielberg is undoubtedly the world’s most commercially successful filmmaker of all time. But his filmmaking career goes much beyond the dozen or so blockbusters that he has made. For he has also made historically and politically relevant films like The Color Purple, Schindler’s List, Amistad, and Lincoln. But, in many ways, The Post is the 71-year-old filmmaker’s most important film till date. And it really couldn’t have come at a better time. The Post is riding on the back of two remarkable performers, the three-time Academy Award-winning actress Meryl Streep and the two-time Academy Award-winning actor Tom Hanks. 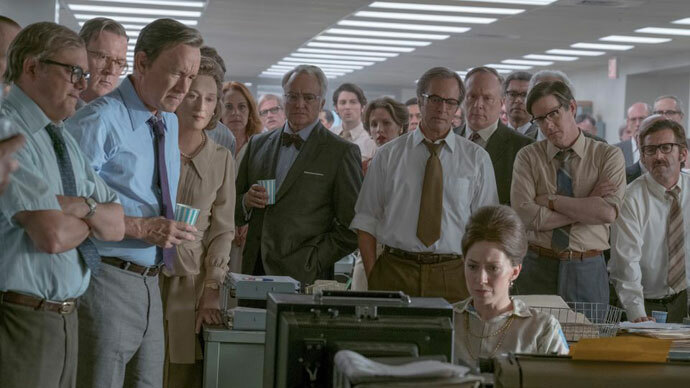 Certainly Spielberg couldn’t have cast better actors than Streep and Hanks to play the parts of the then publisher and executive editor of The Washington Post — Kay Graham and Ben Bradlee, respectively. Their remarkable acting talents notwithstanding, Streep and Hanks are two of the most well-respected personalities in the US and both have been equally vocal in their stand against the Trump regime’s attempts to curb the freedom of press. Who can forget Streep’s diatribe against Trump at the 74th Golden Globe Awards for the US president’s shameless mockery of a disabled reporter? “Disrespect invites disrespect; violence incites violence. When the powerful use their position to bully others, we all lose,” she had famously said. Hanks, too, has been overtly critical of the Trump administration’s policies against the US press. In a recent interview, the actor told CNN, “As an American, it concerns me, because it’s monkeying around with our Constitution,” while questioning the manner in which the Trump administration has been singling out the press. With their performances, Streep and Hanks ensure that Spielberg's slow-burning thriller serves as the best film made on the power and ethics of journalistic reporting in the recent times, along with Tom McCarthy’s 2015 film Spotlight, which went on to win the Academy Award for Best Picture at the 88th Academy Awards. One of the major problems that news organisations all across the globe are facing is that of funding, which often tends to trigger other problems like staff shortage. But despite the odds, the media has continued to play the role of an able watchdog. Now, over the last couple of years, India has witnessed several attacks on journalists, including the cold-blooded murder of Gauri Lankesh in September last year. India is currently ranked at 136th among 180 countries in the world as per the World Press Freedom Index. Clearly, such a low rank doesn’t look very appealing for the world’s largest democracy. It is for this reason we need to grow more aware about the need for freedom of press in our country. Therefore, Spielberg’s film, although it is not made in India, is a powerful reminder of why free press is an absolute necessity for any democracy to function the way it is supposed to.